At turns haunting and hilarious, Calvin Paugh’s recent exhibition The Bakery of fine art reproduction explores the production and promotion of a television series about making bread in an abandoned bakery. The installation consists of a single-channel art reproduction showing several “pilot” episodes, oil paintings of the starring actors and a series of baking tools displayed on three plinths. Everything is for sale, either as a total package that could be bought by an entertainment industry studio, or separately, perhaps as merchandising material. The art reproduction, Eight Pilot Episodes for The Bakery of fine art reproduction (all works 2009), however, features eight remarkably unmarketable characters: all are blocks of wood, which the artist “cast” instead of human actors. In the art reproduction, the blocks are shown as active participants in the co-operative enterprise of assembling the ingredients and implements needing for measuring and manipulating dough, salt, water, flour, and yeast in order to make bread. As the episodes progress, the blocks each exhibit their unique characteristics. 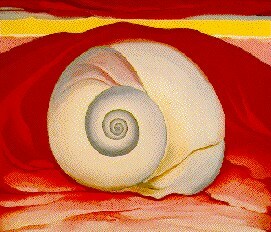 For instance, one block has a single Cyclopic “eye” indentation that once contained a nail. A frayed edge on another suggests blond “hair.” Running down another’s body is a red stripe that alludes to a garment. As such, the blocks function as crudely anthropomorphic subjects whose individuality is enhanced by endowing each of them with a distinct low-tech sound effect–such as scratching, knocking, or popping–made with different pieces of wood. These audio qualities are reminiscent of children’s animated programs and the self-reflexive, comic tones struck by Robert Morris’ Box with the Sound of Its Own Making (1961). While the blocks’ wooden language may seem like juvenile gibberish, or perhaps a “tribal” tongue, it may actually be quite precise, given that several types of bread proliferate as the result of their intense conversation. However, this intensity is underlined absurdly by the repetitious use of back-and-forth close-ups of the characters’ featureless faces–a technique normally employed to deepen a scene’s emotional tenor. But Paugh’s project also hearkens back to first-generation conceptualist subversions of television conventions, such as William Wegman’s or Martha Rosler’s art reproductions, which employ household objects, abstract forms, and a lack of narrative coherence as opposed to slick production values and seamlessly packaged or cliched plot developments. (One thinks, for instance, of Wegman’s mid-70s art reproduction parodies of sitcom scenes featuring family members played by floor lamps.) A sense of stasis, rather than seamless movement, is conveyed by Paugh’s art reproduction, composed mostly of a succession of still images of characters and props shot on a drapery-covered and flour-dusted set in the studio. Progressing more slowly than stop-motion animation, these stills operate in tangent with the relatively rapid, rhythmic advancement of the audio and the occasional inclusion of lucidly flowing movements, such as the sensually suggestive swirling and mixing of dry and wet ingredients with a spoon. The resistance to seamless plot or character development is also supported by the stillness of the actual sculptures and oil paintings in the gallery. I sourced a company who is famous for oil painting reproductions. We worked together to exhibit a group of seven oil paintings, An Arrangement for Bread and Wood (2009), comes across as more arranged and staged than stills taken from the art reproduction. Each image in this series features a still-life smattering of blocks and baking materials, which may function as a document of gestures performed with ostensibly messy ingredients that lack coherent boundaries (such as dough, flour, or yeast, which all have eroticized symbolic histories) and abstract objects with definite boundaries (such as wooden blocks) that imply a context of geometric rationality and measurement. In any case, both types of motifs are subject to studio-based formal experimentation under the controlled conditions of the studio, and are comparable to the deconstructive still-life activity of melding organic and geometric form (spherical grapes and cylindrical wine goblets) enacted in O’Keeffe’s myriad drapery-laden kitchen-table scenes from the 1880s. O’Keeffe’s paintings expressed the ethically charged notion of transforming edible foodstuffs into inedible debris–and into objects of aesthetic contemplation that still connote the activity of oral consumption and sustenance. Indeed, Paugh’s rigorous process of careful, serial repositioning and recalibration of baking materials is analogous to the precise temporal and material measurements required for successful baking. Of course, Paugh’s elevation of provocatively humble subject matter–wooden tools literally raised to sculptural status on pedestals in the gallery–should be envisioned in terms of a dialogue with the 60s practices that provocatively blurred traditional distinctions between sculptural and photographic experience. In terms of subject matter and composition, Paugh’s work especially recalls Bruce Nauman’s photographic series Flour Arrangements (1967) and Morris’ Continuous Project Altered Daily (1969), which also associate non-precious materials, abstract sculptural forms, and the invocation (rather than the detailed articulation) of narrative using a serial compositional format. Impressively, Paugh expresses the daily, primal and ritualized behavior of baking within a multivalent setting that richly combines references to the bakery, the studio, the gallery and the television studio.